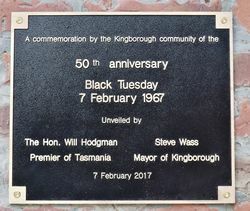 Two plaques commemorate the 50th anniversary of the Snug Bushfire which occurred on the 7th of February 1967. 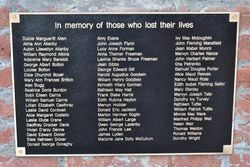 One plaque is a new casualty list, which was increased by the addition of two more names that could be attributed to the fires. 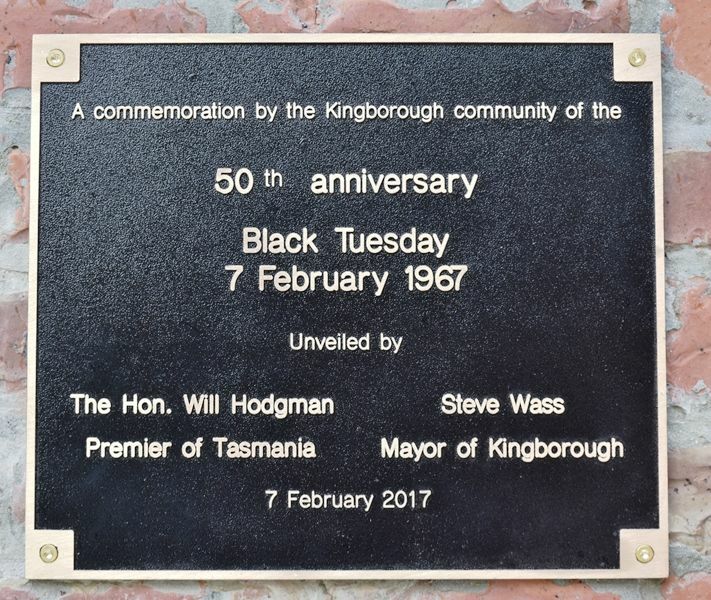 It was at Snug that the devastation was greatest, with eleven residents losing their lives and eighty of the township’s one hundred and twenty buildings destroyed.